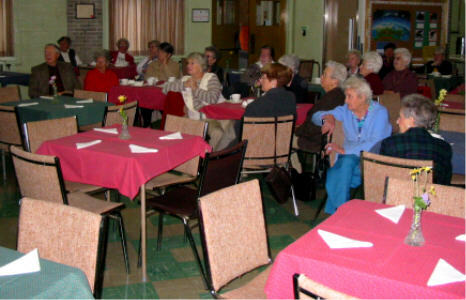 The 2003 Lachine West Meals on Wheels annual luncheon took place in Summerlea's Fellowship Hall Monday, October 6, 2003, under the leadership of long-time branch leader Lucy French. Following are some photos of the proceedings. 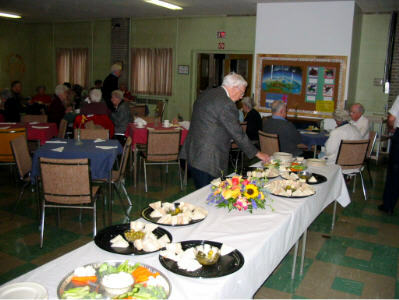 The event began with a sandwich lunch prepared by Ann Cockhill, without the usual help of hubby Mel, who was recuperating at home. 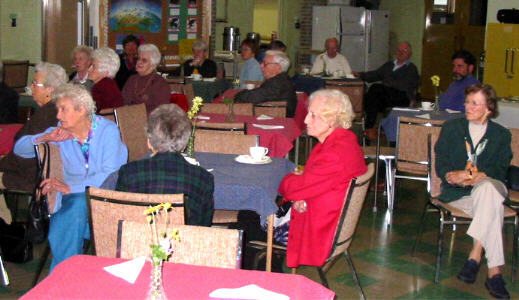 The attendance was lower than the potential 80 volunteers, so seconds were available. A number of empty tables marked missing volunteers. Margaret Hendery described some of the daily routine. 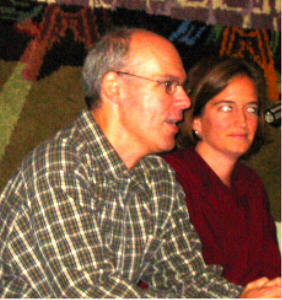 Summerlea minister Howard Clark at right. 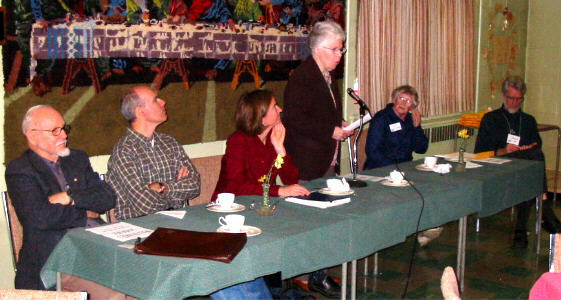 Tribute was paid to 1969 MOW originators Pearl Sargent (not present) and Lois Pavlasek. 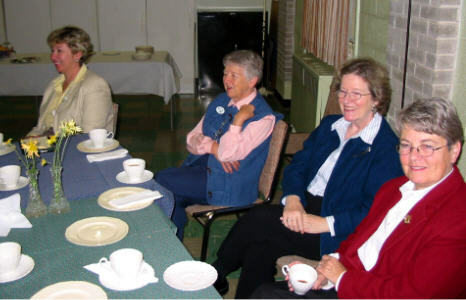 Lois is seen here with Victoria Pinnell, the Lakeside Academy coordinator who arranges for students to help deliver, Jane Percy and Valerie Coffin. 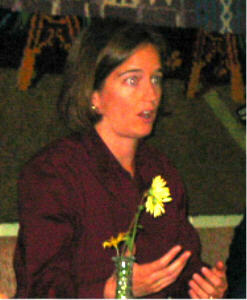 Stephanie Roberts, West Island Volunteer Bureau MOW coordinator, described a US MOW seminar that she attended. Some of the US MOW operations are humungous! 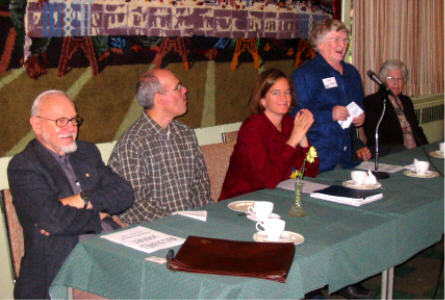 Patrick Merrigan, West Island Volunteer Bureau publicist, invited the volunteers to a Wine & Cheese event at the Sarto Desnoyers Centre in Dorval, from 5 to 7 PM Friday, Nov. 7. A fine way to close the meeting!